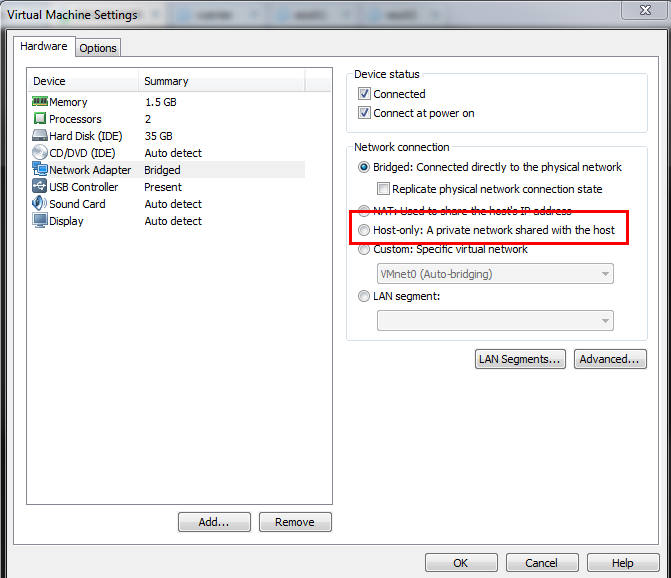 Rt-click on the VM -> Settings, then change the Network Adapter to 'host only' on the right side. VMware Workstation or VMware vSphere? Good question @hanccocka -- I was assuming the vSphere (ESXi) 5 VM with the VMware Workstation host.